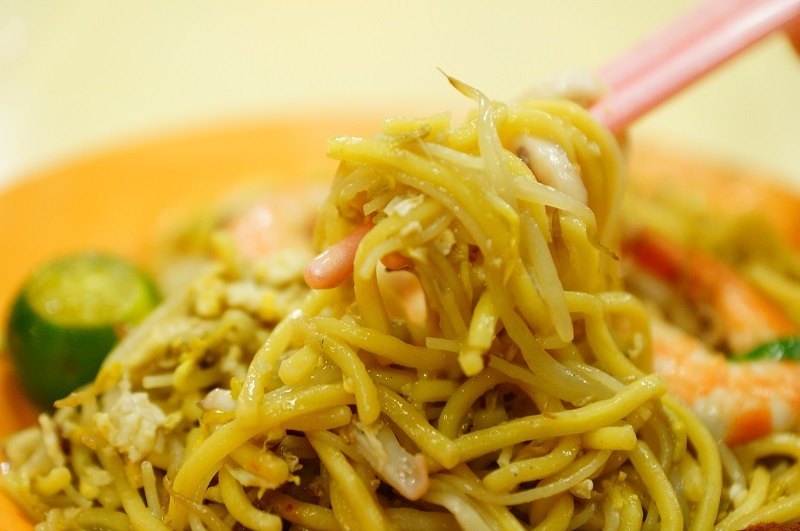 Geylang Lorong 29 Swee Guan Hokkien Mee 水源福建面 – Simply Good! 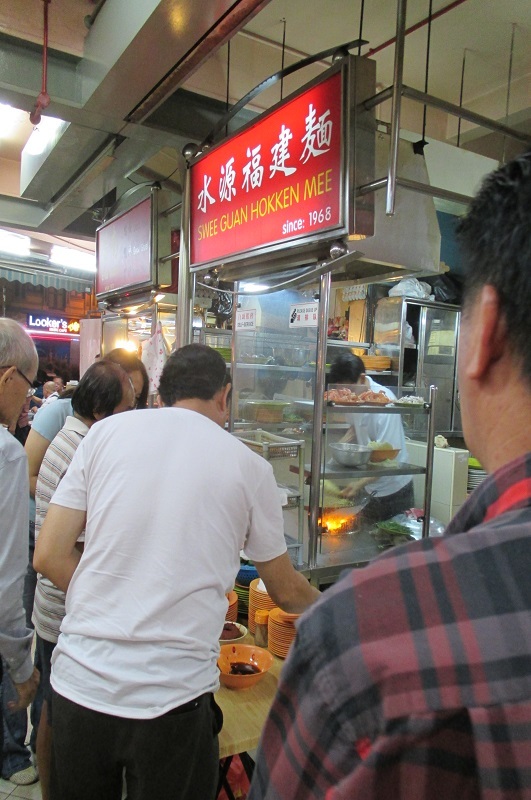 Yes, it’s true – we have now embarked on the hunt for the best Hokkien Mee in Singapore! A cholesterol-laden dish that is incidentally also very delicious – and is also one of the more popular Hawker dishes in Singapore. 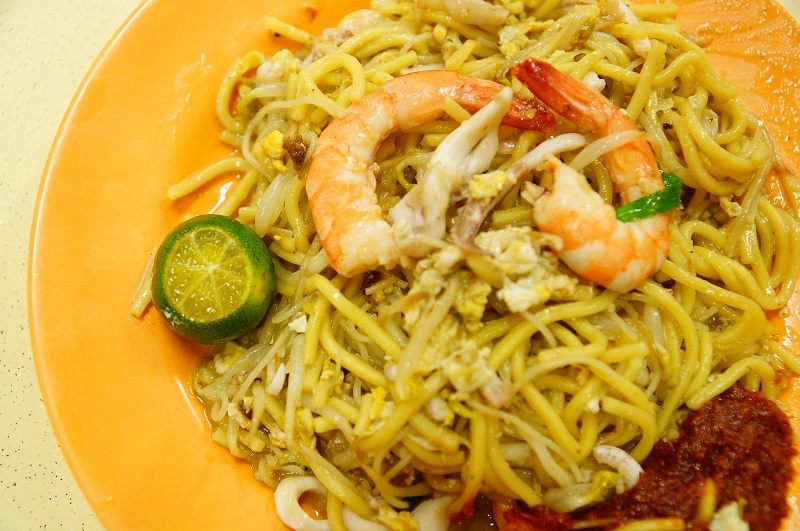 Located in a coffeeshop at the corner of Geylang Lorong 29, the stall has been in operation since 1968 and is one of the heritage hawkers steadfastly adhering to traditional charcoal to whip up plates of Hokkien mee. 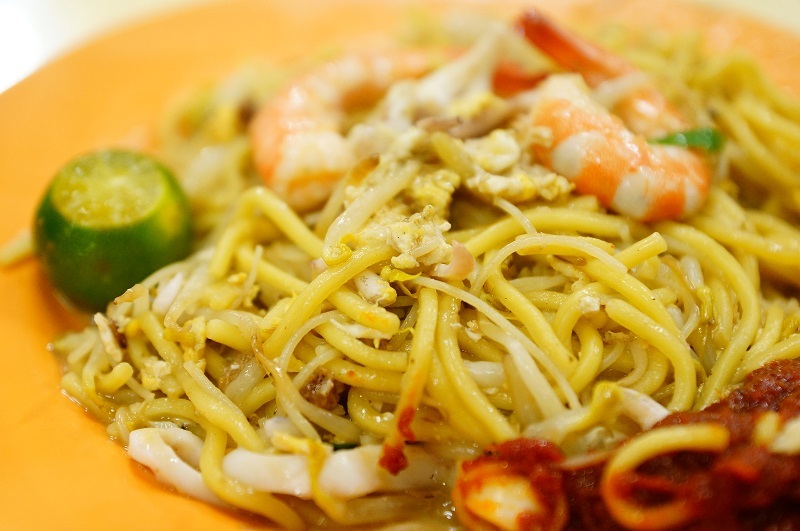 The mee ($5 onwards) was a mixture of yellow noodle and white bee hoon, fried with seafood, eggs and lard. The charred flavour from the noodle was distinct and tantalizing; the effect from the charcoal was evident. The texture of the noodles hit the right note, not too soggy or undercooked. The mee was also moist and fully infused with the fragrance of the seafood stock. In the end, we could easily set aside our guilt to fully enjoy this dish – every calorie was worth it! Our verdict – fully worth trying; one of the better ones we’ve tried so far!